Consulado Street, Centro Havana. 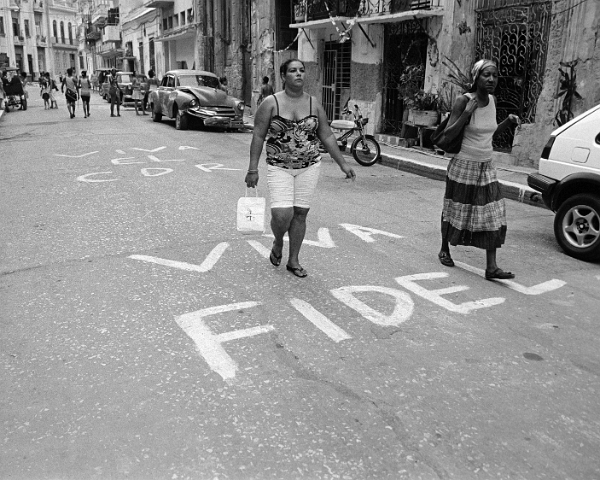 The streets were painted for the anniversary of the Comité de Defensa de la Revolución (CDR), the Communist Party neighborhood watch organization. The common trait of acceptance makes most Cubans non political. The anniversary is only an excuse for most neighborhoods to host a large street party.